Senator James Inhofe (R-Okla.), chairman of the U.S. Senate Committee on Environment and Public Works, will be a “featured speaker” at ARTBA’s 27th Annual Public Private Partnerships (P3s) in Transportation Conference, taking place July 15-17 at the Hyatt Regency Washington in the Nation’s Capital. 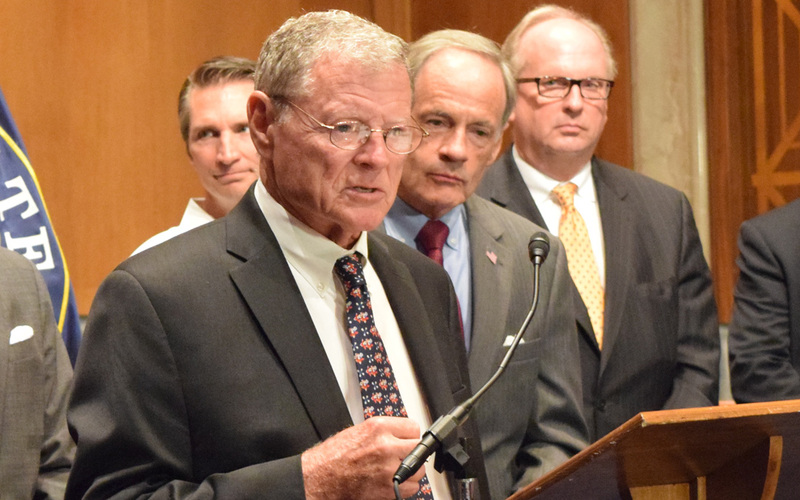 Inhofe is expected to discuss the multi-year transportation bill he and other leaders of the committee rolled out June 23. In addition to Inhofe, U.S. Secretary of Transportation Anthony Foxx will give the opening keynote address on July 15. Other speakers will include congressional staff, state legislators, state DOT officials and numerous industry professionals. View the full agenda. Registration and sponsorship deadlines are approaching, so sign up now to take your place among the many federal and state officials, industry leaders and distinguished academics in attendance.